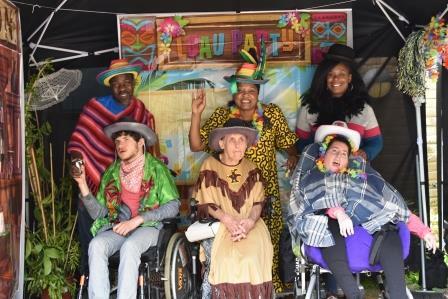 The 5th annual Learning Disability Network Festival took place on Saturday 16th June, giving us a kick start to Learning Disability Awareness Week 2018. Our NETWORK is spreading fast and we saw people with learning disabilities from across London join us for a fun packed day. The ever popular photo booth, pictured above gave people the change to dress up and pose for the camera. 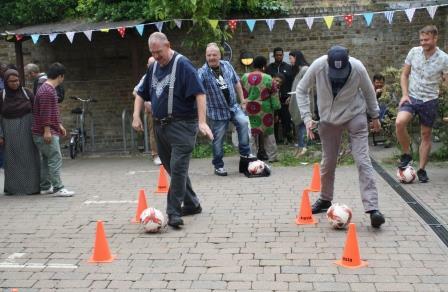 This year to re-launch our LDN Olympians 2018 group we held a sports day in the afternoon. 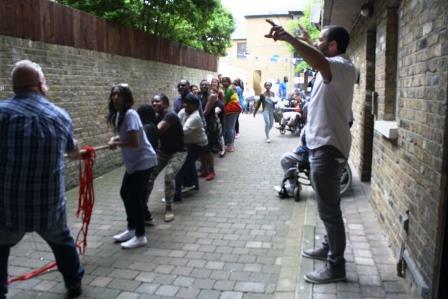 The Tug of War was the most popular event seeing the women beat the men hands down! We would like to say a big thanks to the volunteers from the 4C Hotel Group who came along and helped out on the day.